Theodore M. Brasky, Ph.D., Research Assistant Professor at The Ohio State University Comprehensive Cancer Center, and his colleagues recently looked back at data and plasma collected in the SELECT trial with the aim of investigating the effect of consumption of ω-3 fatty acids (omega 3 fatty acids). In previous reported work* using data and serum collected from the Prostate Cancer Prevention Trial, Brasky and colleagues reported that a high concentrations of serum phospholipid long chain omega 3 fatty acids was associated with a large increase in the risk of high-grade prostate cancer, and high concentrations of trans-fatty acids were associated with reduced risk of high-grade prostate cancer. 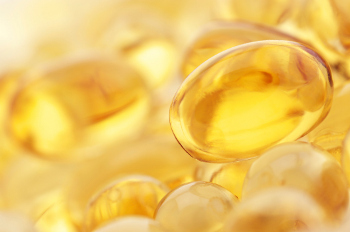 These findings are counter to some expectation about the omega 3 fatty acids and authors wished to learn more about inconsistencies in previous research showing that increased omega 3 consumption could lead to decreased cancer risk. The current study, funded by the National Cancer Institute and the National Center for Complementary and Alternative Medicine**, used a case-cohort design of subjects within the SELECT trial. Case subjects included 834 men diagnosed with prostate cancer. The subcohort consisted of 1,393 men without cancer who were selected randomly and matched to case subjects on age and race. Phospholipid fatty acid assays were performed on blood serum of case and subcohort subjects. In conclusion, authors found that long chain omega 3 PUFA overall, and docosapentaenoic acid (DPA) and docosahexaenoic acid (DHA) in particular, were associated with strong linear, increases in prostate cancer risk. Since this data was similar to findings of two other studies, authors note that the replication strongly suggests that long chain omega 3 PUFA do play a role in enhancing prostate tumorgenesis. These finding should be taken into consideration with other studies related to fatty acid intake and cancer risk before starting a regime of increased fatty acid supplement intake.